For those that were following Zim Hip-Hop 6 or so years ago the name Nameless 263 may sound familiar. This was a duo made up of Ten_Dai (formerly known as T9yce) and the award-winning rapper Rhyme Assassin. 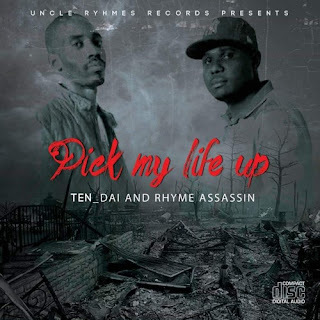 Well, they are back with new music, produced by prolific, Bulawayo-based producer P2DaOh, simply titled Pick My Life Up. Pick My Life Up carries the motivational message that no matter low life can take you or kick you down you still need to pick your life up and keep going. This definitely echoes true in the current Zimbabwean economic climate where it has become harder to pursue one's dreams. If you are looking for another trap record this ain't it. If you love your rap concious this is right up your alley. Don't just take my word for it.